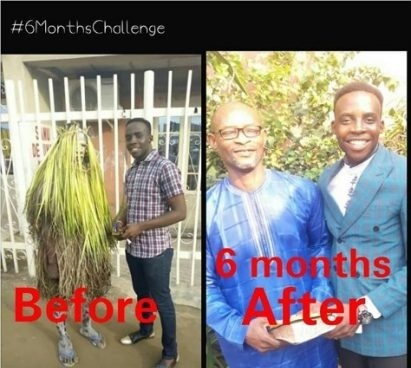 A six months challenge indeed as a masquerade became an evangelist in just six months after encounter with another evangelist. According to the ex-masquerade, he was met on the road by the Evangelist who preached the word to him and told him to forsake his masquerade ways and follow Jesus's way. "Lord led me to preach to a masquerade named Segun, Segun was immediately converted and sent to a "Rehabilitation and Discipleship school". He is now saved and has now become an evangelist"
"Today, He is a graduate of the Discipleship school and Rehabilitation. 6 months thoroughly taught in the word of God. Kai My fruit Abides He is saved and now becoming an evangelist"